I'm lucky I got anything done after the emotional pain I have been suffering due to the finale of breaking bad, but I am trying to stay strong! 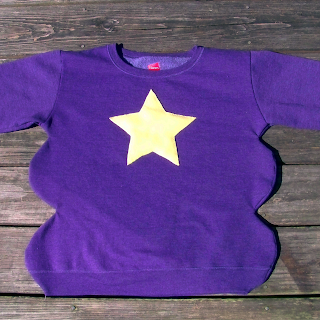 So, next week part two of the messenger bag tutorial should be ready, but this week I bring you the first of many Halloween-themed posts for this month a lumptastic Lumpy Space Princess Sweatshirt! 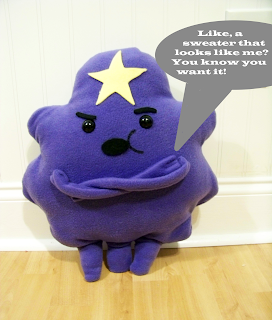 This Deluxe LSP plushie was handmade by me and can be found in my shop when it reopens! 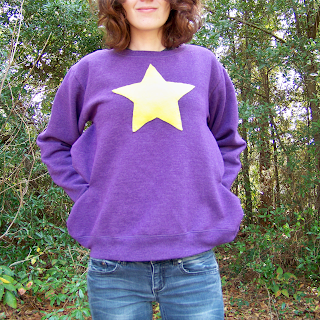 This sweatshirt can be the top piece in your LSP costume or you can wear it year round when you're chilly just to show off you adventure time fandom. 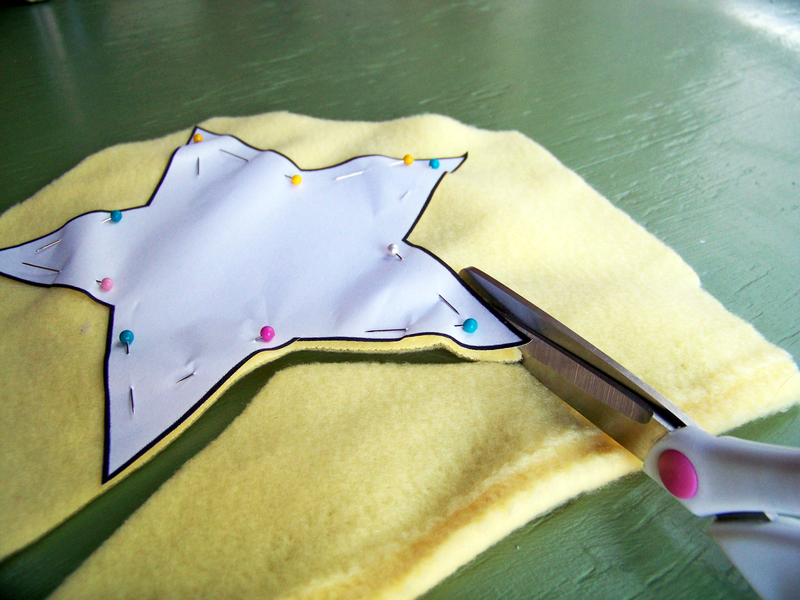 Step 1: Print out this star, at 125% with no margins. Cut it out and cut a copy out of the yellow fleece. 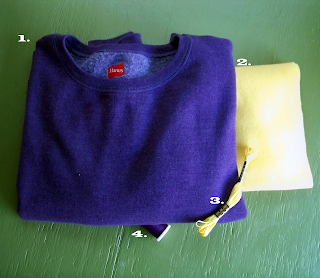 Step 2: Pin it in the middle of your sweatshirt and hand stitch around it. 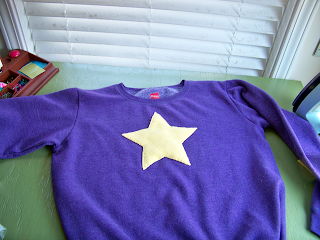 I used a super simple running stitch. Now this seemed like way too easy a way to end this tutorial, but you can if you want. I went a few steps further. Step 3: Turn your sweatshirt inside out and put it on. 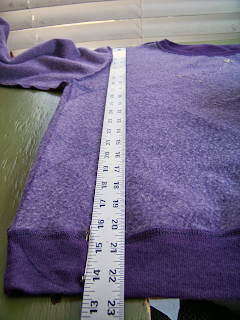 Pull fabric evenly on each side and pin close to your body, you want it to be comfortable to wear though. Step 4: Take off your sweatshirt and use something round in your house to trace two lumps on either side of the sweatshirt like so. Make sure your lumps are even, no one like uneven lumps. 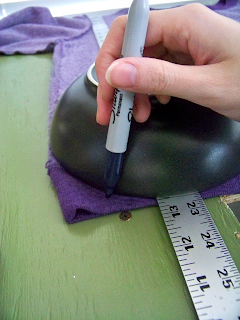 Step 5: Sew along the lines you drew. You now have a very lumpy sweatshirt! Enjoy! I have so much awesome stuff planned for this month and 90% of it is Halloween themed so I hope you guys are as excited as I am! Heres a few shots from an in character photo shoot I did. "Like OMG T.P. 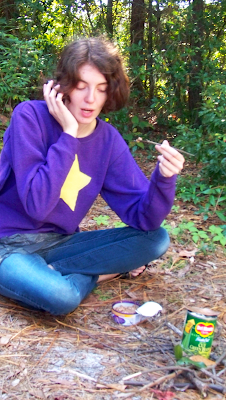 this food you sent is like totally delish, if only I could get my stupid fire to start"
Whats your favorite part about fall? Mine is most definitely Halloween! OHMIGOSH IT'S SO LUMPTASTIC!! Btw, where did you get that sweater? It looks super comfy :D thanks!